Step Right Up! 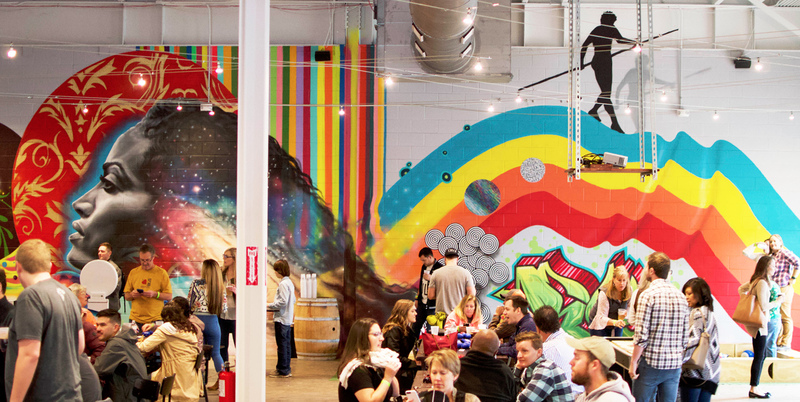 Join the Durham craft beer scene and host your next event at Hi-Wire Brewing at Golden Belt. 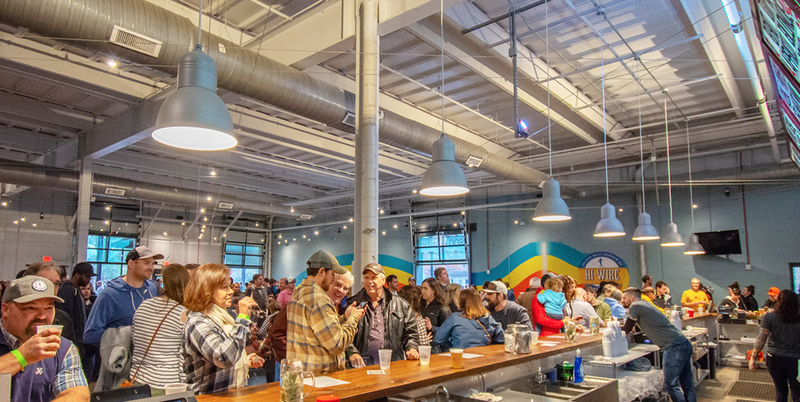 If you are looking for an industrial, yet cozy family friendly space in Durham NC, the Golden Belt taproom is a great alternative to more traditional rental venues around town. The taproom consists of 8,844 square feet of interior space, as well as a 1,678 square foot outdoor covered patio and beer garden. The space is game and activity heavy, featuring full-sized shuffleboard courts, soccer pool tables, table tennis, and features an epic mural that wraps around the entire room. The bar’s 24 taps feature ours full line-up of beers, including year-round, seasonal, specialty, sour, and one-offs, as well as wine, local cider, and guest taps from neighboring breweries. Whether you are planning a company celebration, birthday party, corporate lunch/meeting, or fundraising event, Hi-Wire Brewing at Golden Belt is the place for you! **We do not close down for private events. The Golden Belt taproom is family friendly for a majority of our business hours with a 21+ age limit after 8pm. You can reserve space (when available) at Hi-Wire Brewing at Golden Belt 7 days a week. Please fill out the event space request form below.